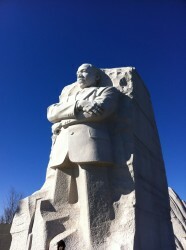 Martin Luther King, Jr: “Mountaintop” speech full length from Filip Goc on Vimeo. The full text transcript of the speech is available here. 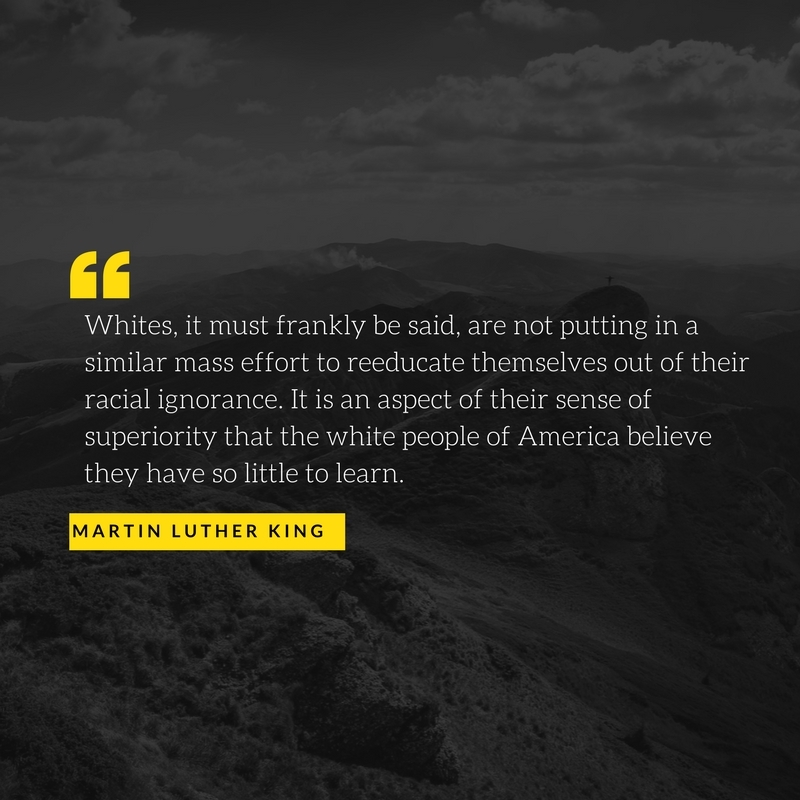 Open Thread: Thoughts on a Post-Racial America? 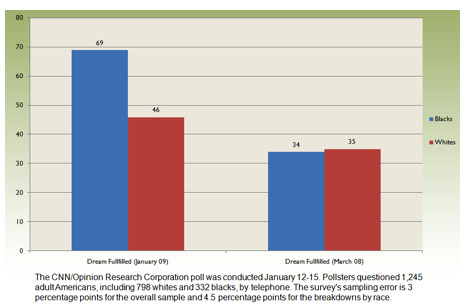 According to a new CNN poll around two-thirds of blacks asked indicated that they believed Martin Luther King Jr.’s dream had been fulfilled (h/t RaceWire). This is a marked increase (up from 34% ) who indicated similar feelings in a poll taken in March, 2008. Now compare that to whites who only had a small increase from 35% to 46%. I shared the graph I created from these findings with students in my Ethnic & Race Relations course (hello students who are reading this!). Prior to sharing these results, I talked about the media discussion of America as post-racial. They listened to the statement by NPR’s Daniel Schorr. I showed this clip from CNN’s coverage (opens YouTube video) of the election (h/t Sociological Images). I also passed around The New York Times from the day after the election which announced: “OBAMA Racial Barrier Falls in Decisive Victory.” I then asked students: are we in a post-racial society? There were a lot of really thoughtful answers. One student asked if it was post-racial (race no longer matters) or post-racist (no longer racist) – indicating we were not the first but moving towards the second. Another pointed out the generational differences, younger whites voted for Obama in large numbers. Still others noted that it seems with his victory that we are judging now on character and not based on race. Largely, the white students in the class gave voice to the opinion that we were NOT post-racial, while the minority students argued that we were (although one young lady had not made up her mind – fair enough, in my opinion). (Of course, students reading this, feel free to comment below about what you think if I misrepresented you). The remaining class time was spent discussing and showing examples of personal levels of racism (such as Obama bucks, sock monkeys, statements that B.H.O. is a terrorist and the assumptions about Muslims and Arabs these stereotypes reveal). We also discussed Nas’ Black President. At the end, I returned to structural racism and historical causes as the main reasons we are not, and will not soon be, “post-racial” – reasons we will explore in the coming weeks. 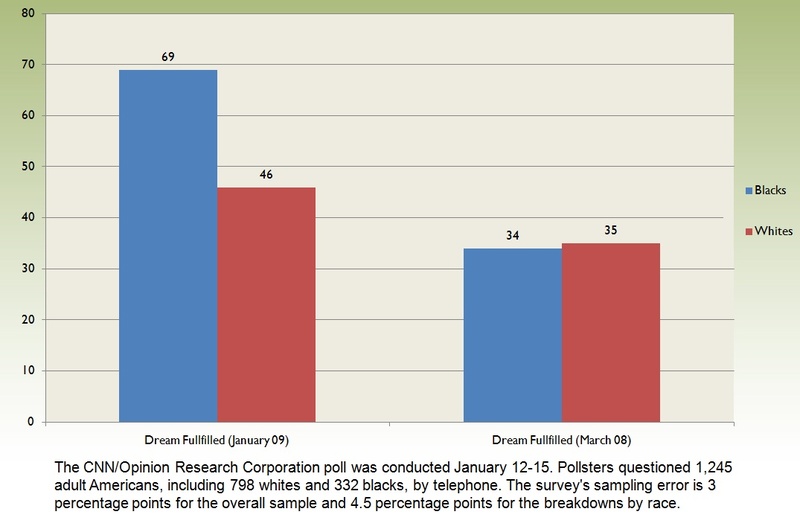 Here is the question: Why the difference in perceptions between blacks and whites on the question of fulfilling MLK’s dream? We weren’t sure. We explored the idea of the front stage and back stage as discussed so well by Picca and Feagin. I similarly mentioned Tim Wise’s discussion of white bonding that he brings up in White Like Me (a book we’ll be reading later in the semester). What do you think? 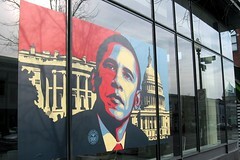 Today, Barack Obama will be sworn in as the first black president of the United States ( photo credit: runneralan2004 ). The inauguration ceremony will take place the day after the nation commemorates the birth of our greatest civil rights leaders, Dr. Martin Luther King, Jr. As Jessie noted in her post yesterday, many of us are contemplating this confluence of events. What would Dr. King say about the nation now that it has elected a black man as its forty-fourth president? Would he say that “the Dream” has been fulfilled, that America has finally become a post-racial society? Would he advise little black boys and girls that they no longer have to deal with the unspoken or spoken belief that opportunities are limited by race? Dr. King might remind himself that Chief Justice Taney’s words were merely reflective of the attitudes of the vast majority of white Americans toward blacks at the time. He might quiver as he thought about the magnitude of the hatred whites had for blacks and the incredible amount of social disadvantage that racism placed in the lives of blacks both enslaved and free blacks alike. Sitting in the January cold, the elderly Dr. King would also reflect upon post-slavery America. Especially now, it is difficult to fathom that, but for a brief period of reconstruction, slavery was not replaced by a system of equal rights. The system of racial savery folded into a regime of racially repressive laws in the South and racially repressive social norms in the North. These Jim Crow laws and customs were constitutionalized by the Supreme Court in Plessy v. Ferguson (1896). Jim Crow forced blacks into the worst jobs, the worst housing, the worst educational systems, and the worst social position. Dr. King must feel a warm sensation as he thinks about mid-twentieth century America. After the Second World War (the war to save free societies), most intelligent Americans knew that Jim Crow’s days were numbered. Dr. King played a central role in the eventual death of Jim Crow. But the Supreme Court struck the first significant blow against this regime of racial oppression when in Brown v. Board of Education (1954) the Court overturned school segregation laws in every state of the Union. With the passage of civil rights legislation in the 1960s and early 1970s, Congress struck the final blow, killing de jure segregation and outlawing racial discrimination in most segments of American life. The death of Jim Crow has brought unprecedented racial opportunities for blacks. There are many wealthy and influential black Americans (such as the oft-cited Oprah Winfrey, Tiger Woods, Michael Jordan, and the black captains of industry) as well as many political successes, including black congresspersons, governors, presidential appointees, and now, of course, the presidency itself with the election of Barack Obama. Dr. King would certainly acknowledge African-American racial progress. But he would probably be more concerned about the great racial challenges still facing the nation. He would be troubled by the fact that, even as the first black president of the United States is being sworn in: about 21% of black families (compared to only 6% of white families) live below the poverty line, the median annual family income for whites is $26,000 higher than that for blacks; white males with bachelor or advanced degrees earn about $20,000 a year more than their black male counterparts; young black men are seven times more likely to go to prison than young white men, and less than half as likely to earn a bachelor’s degree than young white men; and the median net worth (bank accounts, stocks, bonds, real estate, and other assets) of white families is ten time more than that of black families. As the very old and very wise Dr. King takes in the events of this historic day, he can only conclude that America is far from being a post-racial society. The election does not complete “the Dream,” it only keeps it alive.